Robbins Rehabilitation therapists are a part of something bigger than themselves. Our team consistently works on charity projects to help our community. We have participated in service projects ranging from donating turkeys at Thanksgiving to raising money for local veterans. We meet outside of the office to play basketball and celebrate. When you work at Robbins Rehabilitation, you aren’t just another PT working at a clinic, you are part of a team and a family. You can make a difference. Contact us today. Robbins Rehabilitation is the largest privately owned Physical Therapy practice in the Lehigh Valley. For almost ten years, we have been working toward our ultimate goal of “Changing Physical Therapy.” We want to improve the quality of care given to our patients and change how people view and utilize our profession. Our practice is prepared for growth in the Lehigh Valley and beyond, so there are many opportunities for management in our company. At Robbins Rehabilitation, we strive to help each of our therapists improve their clinical skills and be the best practitioner they can be. 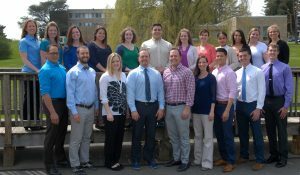 We value and fully fund continuing education, and meet weekly to review the latest mobilizations, manipulations, research articles, and problem-solving techniques in the field of manual physical therapy. Robbins Rehabilitation prides itself on it’s company culture. To learn more about the company, and the people that make it run, Click Here to download our Culture Book.